The API Water Softener Pillow quickly softens water by removing calcium, magnesium and heavy metals. 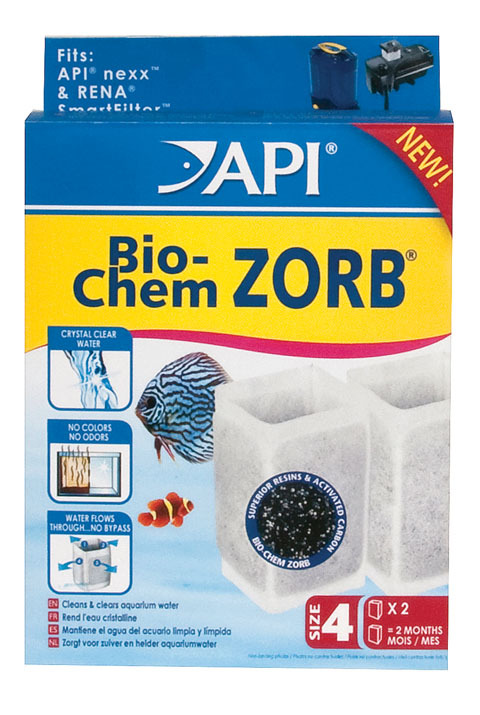 Protects tropical fish from ill effects of hard water, helps stabilize pH and eliminates white crusty deposits. For freshwater aquariums. Instructions: Place flattened pillow in filter. Lasts for 48 hours before needing recharged. To Recharge - Remove pillow from filter and rinse in tap water. Make a recharging solution by dissolving 3 tablespoonfuls of non-iodized salt in 7 oz. of water. Place the pillow in solution for at least 2 hours for full recharging. Size: 7 oz. (Treats aquariums over 20 gallons).